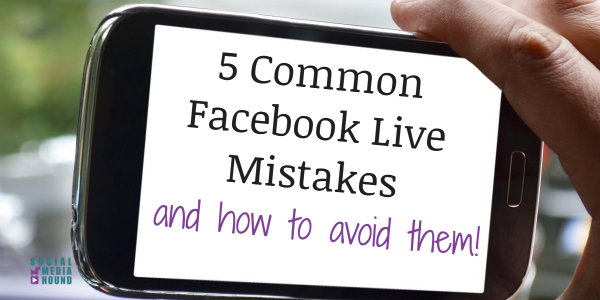 Most people who do Facebook Live, or other live video, are afraid they’re going to make a mistake. Let me just tell you flat out – You Will Make Mistakes. But, you know what? Everybody makes mistakes. The fact that our live broadcasts are not normally totally scripted is just one of the many reasons we’re drawn to it. There’s always a chance of making live mistakes, which is part of being real and being vulnerable with our viewers, making us more relatable. So instead of getting hung up on the times when you goof up, embrace them and look at them as a chance to learn some new skills to become a better broadcaster. And, learn from others’ mistakes, too! Here are 5 common mistakes people make with Facebook Live, and how to avoid them. You’ve probably seen people start their videos with silence, staring at the camera, waiting for something to happen. What they’re doing is waiting for people to start watching their video! They feel like they need that live audience before they start to deliver their content. While it may seem like it makes sense to wait for veiwers, the opposite is true. It’s actually more beneficial to start right away. It takes just a few seconds to grab someone’s attention on video and if you’re not doing anything, chances are people won’t watch. If people start watching while you’re live, that’s OK! They may miss part of your video, but if you have great content, they’ll take time to watch the replay of the part they missed. Keep in mind that most of your views will come on the replay anyway, and starting as soon as you’re live will give them more incentive to stick around. Start immediately. It’s that simple. Whether you have viewers or not, as soon as you go live, start talking. Facebook will give you a 3-2-1 countdown. As soon as you see that 1 fade, you’re on! There may be times when you will want to pop onto Facebook and go live to show people a beautiful sunset, action at an event you’re attending, or just to say hello. These types of videos are spontaneous and don’t require much preparation. On the other hand, if you’re planning to deliver valuable content, just winging it isn’t necessarily the best way to go about it. You may get flustered, distracted, or go off topic. This could give your viewers the idea you don’t know your stuff all that well. When you take time to prepare ahead of time you will look more polished. 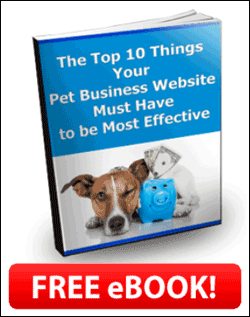 This will make you feel more confident and comfortable. Your viewers will pick up on this as well! And if you feel good, they will feel good about what you’re teaching them, and be more likely to continue watching. They will also be more likely to think of you as an authority on your topic. Make an outline of what you want to talk about on your broadcast. Use bullet points rather than a script. You want to have enough structure in your outline to stay on track, but you don’t want to read word for word. And, when you’re just starting out, it’s a good idea to add some spots in your outline to respond to viewers. When you get more comfortable you will learn how to work questions and comments in as you go along. Once you’ve put your outline together, practice your broadcast. If you’re fairly new to doing live video, do a trial run while you’re looking at the camera. You can keep the camera off or do a private broadcast only you or a trusted friend will be able to see. The beauty of doing live video is that it’s interactive. We can talk about something we’re knowledgeable or passionate about, and get immediate feedback from our viewers. It may seem one sided since you’re doing all the talking. But if you take time to interact with people, you will realizing you’re having a conversation with your viewers. That is exactly what you want! After you introduce yourself and your topic, if you already have some live viewers, say hello. Greet them by name, ask where they’re from, or ask a quick question related to your topic. 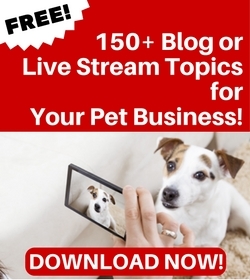 The idea is to get some interaction going with your viewers. The more interactive you can be with your broadcasts, the more people will enjoy your broadcasts. Keep in mind too, that just like any other type post, Facebook will put more value on Facebook Live broadcasts that have likes, shares, and comments. Stop periodically to see if there are comments. When you write your outline, include a few spots where you can take a break to respond to comments. As you get more comfortable with going live, you’ll learn to respond to some questions or comments as you’re talking. Having good quality sound is extremely important to the success of your video. If you have distracting background noise, buzzing, static, etc. you will lose people. It’s a fact. People will sometimes forgive video quality, but if the sound is bad, there’s no reason for anybody to watch. Your best bet is to pay close attention to sound and video. Before you go live, test your entire setup, including your sound, lighting and surroundings. If you plan on going live regularly, invest in some lights and mics. Even something as simple as knowing how to use natural lighting can greatly enhance the quality of your video. Special note on sound: Be very carful with background music. Facebook is very aware of music in videos, and may restrict your video priveleges if they detect it. This can include music you have chosen for the video as well as music that may be playing the background, such as a live band, concert, or radio. If you want to use music, Facebook has a collection of music that you can use for free in your Facebook Live videos. Viewers feel a disconnect when you’re not looking at the camera. One of the ways we connect with our viewers is to look at the camera to make the experience feel more personal. If you were talking to someone in person it’s highly unlikely you would be looking down or off to the side. Instead, you’d be looking right at them. So imagine that camera is your friend. If that’s not enough, put a dot of paint or fingernail polish, or a small sticky note right by the lens. It will remind you where the camera is, and that you should be looking directly at it. I’ve also heard of people putting a picture of a loved one (or even a pet!) behind the camera, or even surrounding the camera with a hole cut out for the lens. You can as creative as you want to get you to look at the camera. Nobody will have a clue unless you tell them! Doing live video is like any other skill. Regardless of how often you go live, you’ll constantly be thinking of ways to improve your broadcasts. You will decide certain areas need work and when you master those, you’ll find other areas to improve upon. The idea is to accept that you’re learning something new and for most of us, mistakes are one big way we learn. My hope though, is that my mistakes (yes, I’ve made each one of these) will help you improve your videos. Classic nerd joke: How can you tell you’re talking to an extroverted (insert nerd type here)? A: He/she is looking at YOUR shoes instead of their own.